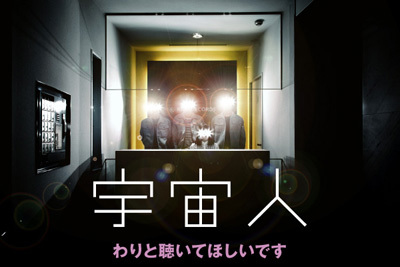 A pop band consisting of Asako Shinosaki (Vo), Kenta Komatsu (G), Hidehiro Niiya (B), and Makoto Wada (Dr). Performed on the ROOKIE A GO-GO stage at “FUJI ROCK FESTIVAL ‘10”, without doing any live concerts or distribution of demo CDs since their founding in 2008. In July 2011, released their first single “Amoeba Dance / Akogare no Necktie” from Perfect Music, and their first album “Oheya de Mystery Circle” in August from GYUNNE CASETTE. “Ohey de Mystery Circle” won Chugoku Shikoku Block Award for “The 4th CD Shop Taishou”. In 2012, made their major debut from Star Child and released 2 EPs “Doukoku” and “Sango” one after the other. Their mysterious atmosphere and addictive pop sense has gradually been gaining them popularity.